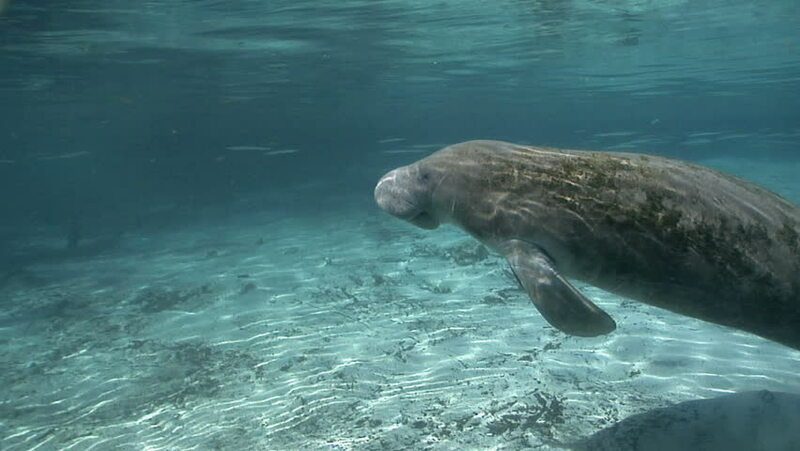 A West Indian Manatee takes a breath in crystal clear water. hd00:27A slow motion shot of dolphins playing underwater. 4k00:22Endangered Florida Manatee (Trichechus manatus latirostris) swims through school of fish in Three Sister's Springs (Crystal River, Florida). Warm spring provides refuge in winter months.